Hope all the moms out there had a wonderful Mother's day. I had a terrific one, thanks to my family. They are the best! They brought me breakfast in bed, took me out hiking, barbecued and made daiquiri in my honor. Hm…may every day be Mother’s day! The weather was extremely good for a hike, and there was no way we could pass it up. It has been a custom of 4 years for us to get out and hike as soon as the temperature rises. And we are lucky to be living in the right place to make it possible, the foothills of Rocky Mountains. We love exploring the mountains, both by driving and hiking. To my husband and my great excitement our kids share the same passion. They both walk/hike without complaining and my 2 ½ year old son did us proud by doing ¾ th of a mile without complaining. Precious! Now we are itching to do mountain exploring with him. Kids really have fun on these trips. What with elks, moose, snakes and birds to spot and keep an eye out for. Fantastic! And for us parents children never fail to add to the entertainment. I had packed snacks for us all and my little boy claimed the goldfish crackers. A whole packet! Of course, his sister wanted some. But he was not giving any. I know for sure because he made it clear through his expression, speech and manner. Now, I love both kids equally and decided my precious daughter deserved some goldfish crackers too. He had a tight grip on that packet except when he gave it to me in exchange for his water bottle. On one occasion, when I knew he was not looking. I can vouch for this anywhere - he was not looking! I snatched a handful and passed it on to his sister. I returned him the packet and was about to walk on when I heard the lil imp say - "Mamma robbed me." Some one tell me, how do we keep a straight face? He looked at his father and said again -"My crackers are missing and Mamma did it" I was going crackers by then! Such is life! And in the mean time, I had promised my little one that I will make him cupcakes during Easter. He had spotted the Sprinkle cupcakes. I finally made good of that promise and here is the recipe for you too. 1.Preheat oven at 350 degree F. Grease or line a muffin pan with paper liners. 2.Sift together the flour,salt and baking powder. 3.Beat the butter and sugar until smooth and fluffy. 4.Add the egg and egg white one after the other and mix until everything is combined. 5.Add the vanilla extract and mix again. 6.Mix in the flour mixture in 3 parts, alternating with milk, staring andhttp://www.blogger.com/img/blank.gif ending with flour mixture. 7.Fold in the sprinkles and spoon out into the prepared pan. 8.Bake for about 17-20 minutes or until a toothpick inserted comes out clean. 9.Cool on a wire rack and do the frosting of your preferred choice. 1.You could use any white cake/vanilla cake recipe for making this. 2.I used whipped cream frosting. You can find the recipe here. I second Priya. Very colorful and playful. The name is appropriate too! 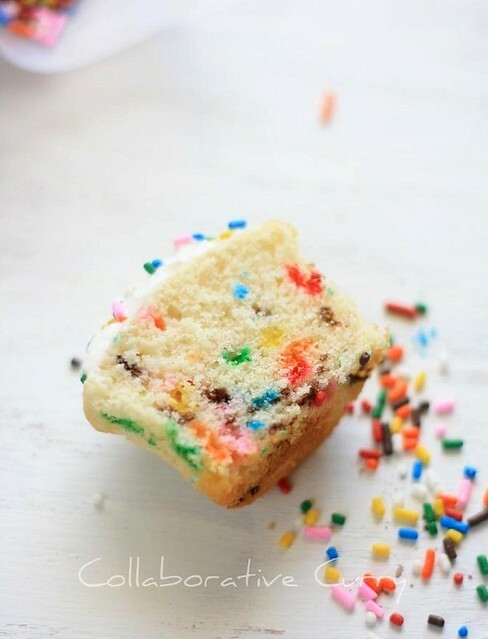 cupcake cake with sprinkles nice. Colourful and delicious ones... I tried your recipe for the chocolate cake in a mug... Waiting to let it cool down and take a click.. raathri aayi.. patience undel nalla pic kittiyaal.. adutha post edaam tto.. Filled with fun and colour, I'm sure they make kids go hyper! I'd like to grab some of 'em! Nice to hear you had a fun-filled weekend... the cupcakes looks very interesting and beautiful.. These look cute and fun to make. It was nice reading your trip with the family. It would be fun to throw snow and hike. The cake looks delicious and no wonder why your son was complaining. I would have done the same for such a cake. Looks super droolworthy n colorful..
love the cake. So fun and colorful. Do stop by mine and follow me too. Happy Mother's day to you. Looks colorful and delicious.. amazing clicks !! Glad to hear that you had a great time :) Lovely cupcakes.. So cute and marvellous cupcakes.. They look so so cute. Very colorful and cute cupcakes. awee so cute! sometime i'm amused how little one speak....can't really laugh but they are adorable so are the cupcakes! That first picture is truly surreal--like a beautiful painting. Aha! delicious cupcakes..too good to eat :).Iam sure ur kids must have a great time, the mere sight of theses cuties must have made them energetic. That's a gorgeous cupcake. Yummy and colorful. 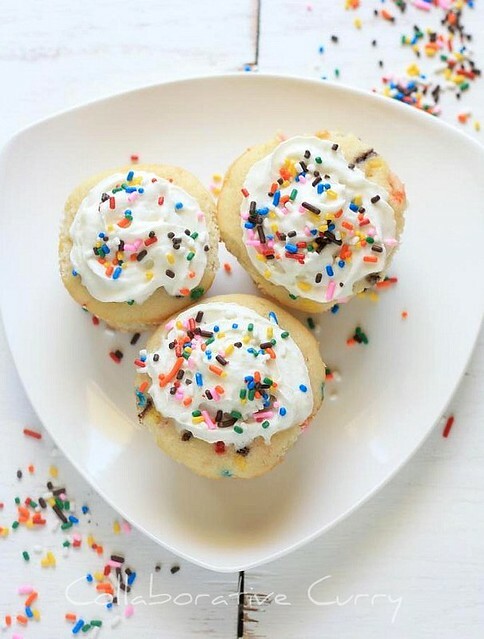 Those cupcakes look so festive and pretty! 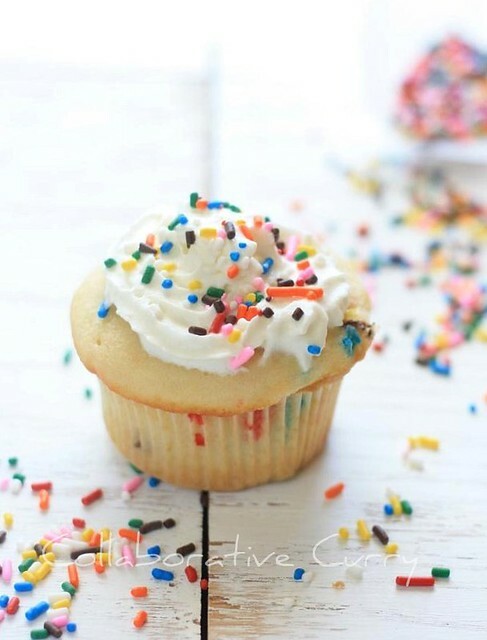 Gorgeous cupcakes, looks moist and colourful! 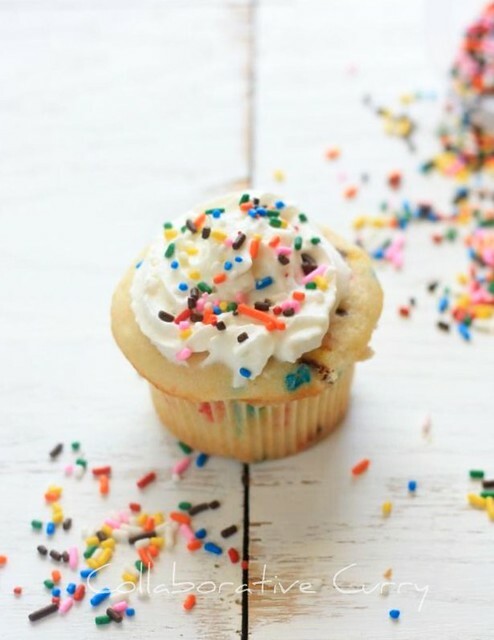 I can see how fun it is to make this cupcakes, and eating it too. Nice work of art! I hope you can motivate us on baking and making wonderful things like this.